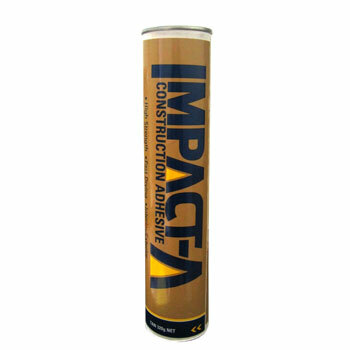 Impact-A Construction Adhesive is ideal for bonding timber and most common construction materials including particle board, MDF board, brick, concrete, gypsum board, galvanized metal and aluminium. Impact-A Construction Adhesive is a synthetic rubber based adhesive designed primarily for installation of flooring and wall panels. Impact-A Construction Adhesive can be used in many general household applications. To buy IMPACT-A Construction Adhesive 320g, please use the Store Locator below.